August 1st? Really?! Holy cow time is flying by so fast I can hardly keep up. 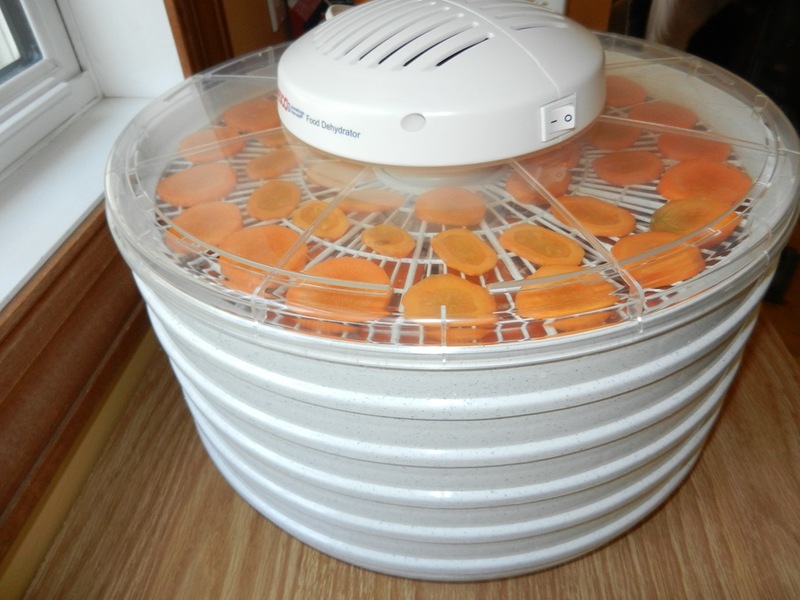 So, remember how I told you I bought a food dehydrator? Well, it has been taken out of it’s box and gotten some action. My first attempt with the machine involved carrots and bananas. For the bananas, I sliced them thinly, gave them a squirt of lemon juice to slow down the browning, and placed them on the tray. As for the carrots, I used the wonderfully fresh carrots from the farmer’s market and sliced them into thin coins as well. 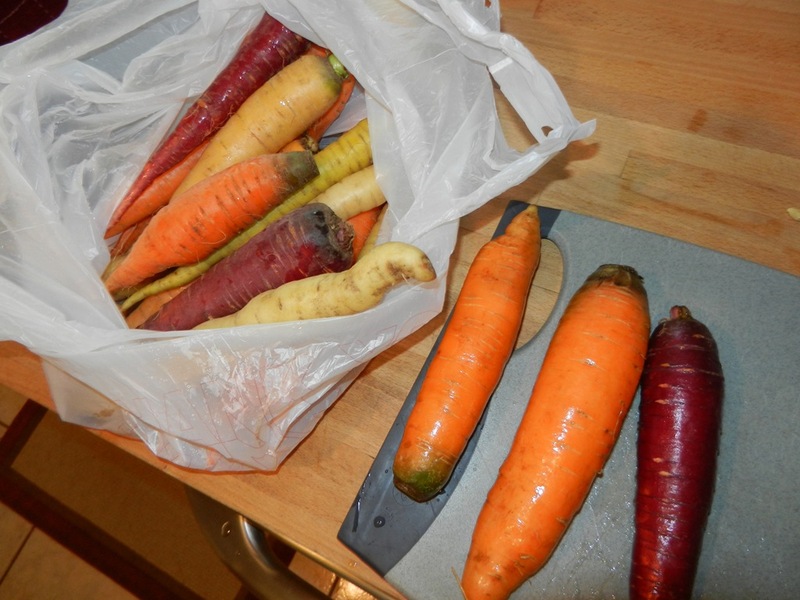 I was hoping that the purple carrots would be purple all the way through, but no such luck. Once I peeled them they were orange on the inside. Still beautiful though. 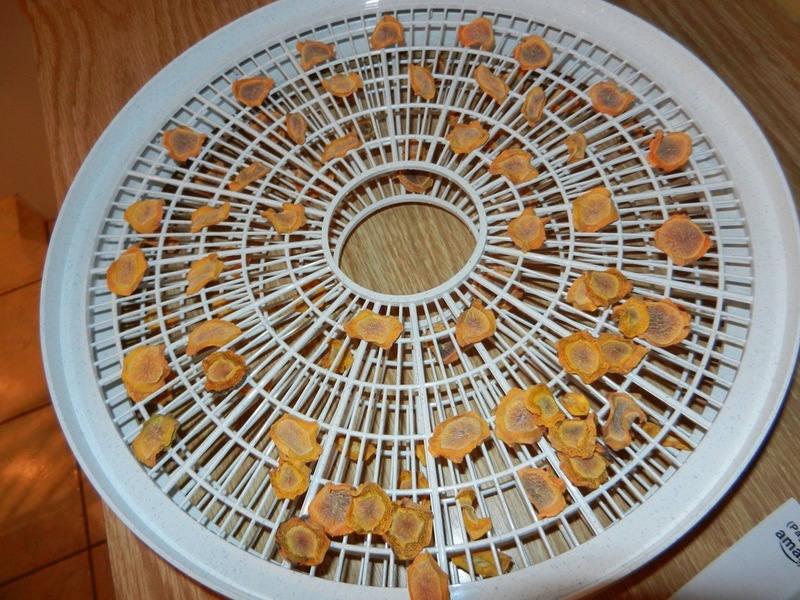 I placed all of the coins onto the dehydrator, set the cover on it, and turned it on. This particular one doesn’t have a temperature setting, so you just have to monitor your food while it’s going to check for doneness. Considering carrots are made up of so much water, I expected them to shrink down quite a bit, and they did. They’re cute little bites. Next time, I will be using a different technique to cut them so that they are a little bit bigger. The texture of the carrots turned our crunchy, which is how I wanted them. There are two textures that can come of the banana chips, and probably any fruit or veggie that gets dehydrated: crisp or chewy. 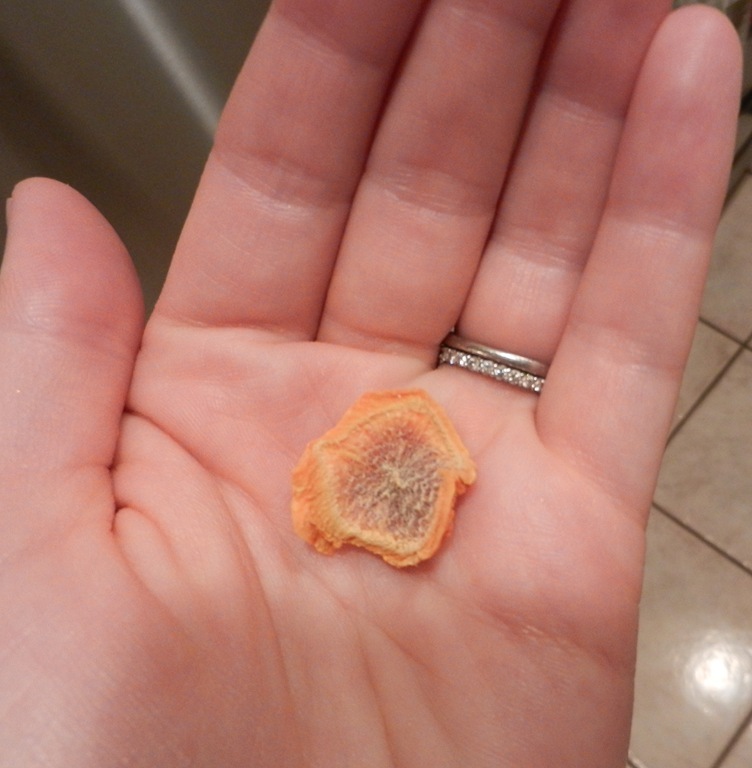 The outcome depends on how thick or thin the fruit is cut, and how long you let them dehydrate. I like my banana chips crunchy, and Dana likes his chewy, so I made sure to vary the size of slices so we could both be accommodated. 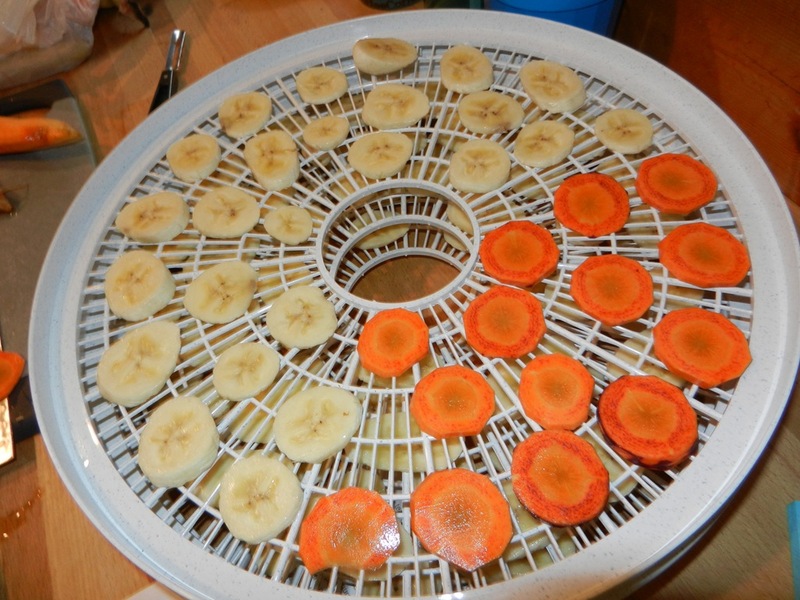 I don’t know for sure how long the carrots and bananas were in the dehydrator. Next time I make a batch, I’ll pay better attention so I can let you know. Keep in mind that with any dried fruit, you want to watch your serving sizes. Dried fruit has a lot concentrated sugar, so you want to keep it to a minimum. I particularly wanted the dehydrator so that I could make snacks for us when we needed to be away from home because these hold up very well with traveling. Also, I absolutely love dried fruit, and although I try not to go too nuts on it because of the high sugar content, when I do eat it, I would much rather make my own and know what exactly is going into it; no preservatives, no added sugars or fats. 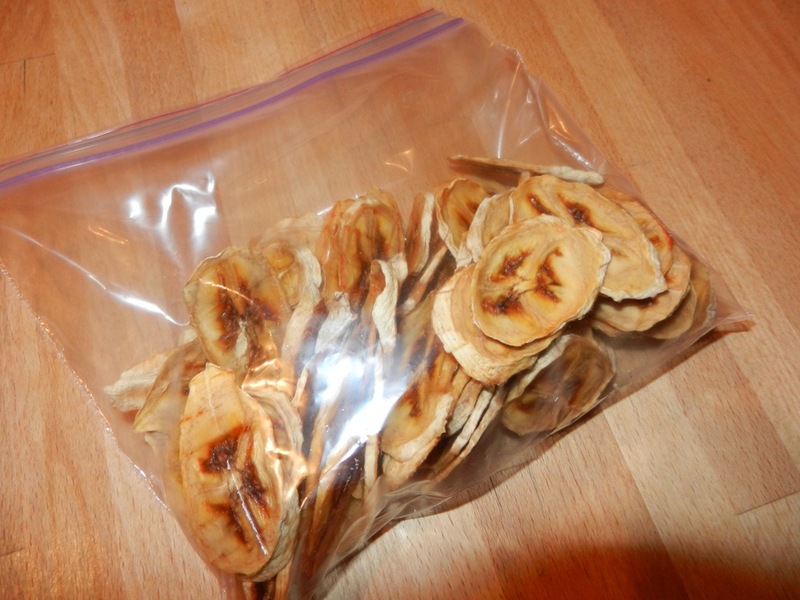 The banana chips at the store are often loaded with saturated fat because they add oil to the drying process (which is why the ones in the store are so crunchy like a chip). Be careful! After work last night I headed to the gym and pounded out 35 minutes on the elliptical while reading the latest addition of Runner’s World magazine. I contemplated hitting the weights afterwards but then shied away for some reason. Darnit! I need to get back on those weights. Dinner last night was nearly identical to my lunch the day before, except for instead of chicken, I topped the salad with almonds. I swear it was even better this time around, if that’s possible. Now, onto yet another recipe. I have had a lot of recipes lately and I love it! These are no bake energy bites that I make in the food processor. 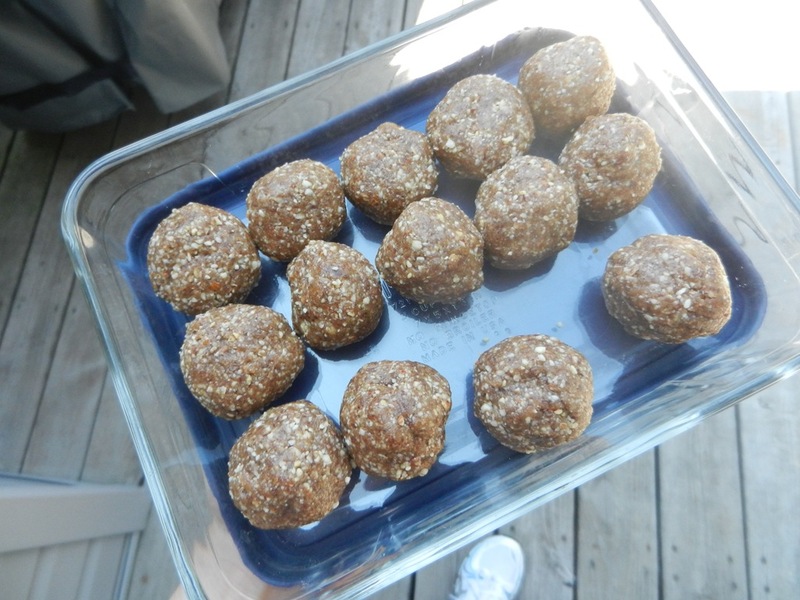 I shared another recipe with you a while back for another version of these treats called Cocoa Craisy Energy Bites. Here is my newest creation. In food processor, process almonds until they reach a coarse sand texture. Transfer to a small bowl. In food processor, process remaining ingredients until finely ground and well combined. Add almonds in with date mixture; process until combined. Use hands to shape mixture into 1 inch balls. Store in air-tight container. They taste like oatmeal raisin cookies hence the name. You could also roll them in coconut for an added thrill. 😉 These are perfect pick-me-up snacks. They are great if you are needing a small boost of energy and heck, they are great for a healthy dessert too! I am signing off for the day. Enjoy your hump day and I’ll be catching up with you soon! Random Question of the Day: What food is your biggest vice lately? Lately, mine has been nut butter. I can’t seem to keep my hands off of it. It is getting to the point where I am putting myself on a “cool-it” time out with it. Obviously nut butter is packed full of fat and calories, so it’s important to monitor the intake. But, it also has good things too like protein, so don’t get me wrong; I am a huge promotor. Just keep your portions to 2 tablespoons or less per day. 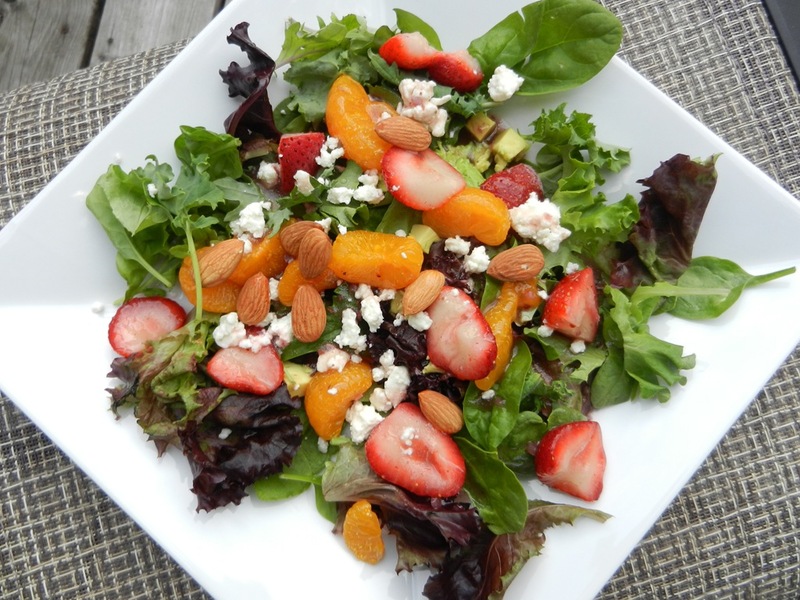 This entry was posted in Dinners, Recipes, Snacks, Sweet Treats, Workouts and tagged Bananas, Salads, SCD, Snacks, Veggies by Melanie. Bookmark the permalink. I want to try those raisin cookie bites!!! Yum! You should! They are so easy and they taste like you’re eating a oatmeal raisin cookie! Num!